Your athletes have been tirelessly working to perfect their routines. Tumbling classes, extra practices, cleaning up those dances for months on end…we respect all that hard work! That’s why we can’t wait to give your athletes the performance floor and recognition they deserve. 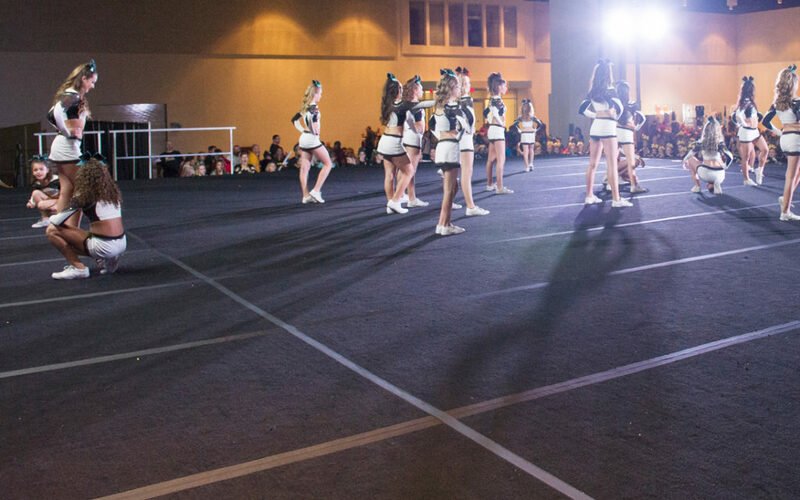 Bring your gym to our cheerleading competitions to give them the chance to shine that they have been working towards all season long. Those nine spring panels all strapped together may not be much at first glance, but we know that you and your athletes see only center stage. That’s why we offer only the best in sound systems, lighting, and technology. Whether you are bringing your full-year All Star participants in hope of receiving a bid to the Worlds cheerleading championships, or if you are bringing your All Star Prep teams for their first performance, we can’t wait to give them a place where they can truly shine! If you are from the outer edges of Arkansas and need to make travel arrangements, we are happy to help. Feel free to check out our hotels in order to most comfortably plan your travel arrangements. Of course, gyms from out of state are welcome to attend our cheerleading nationals as well! Regardless of where your gym is from, we would be delighted to host you and your athletes. Bring the whole family and turn it into a high energy vacation! 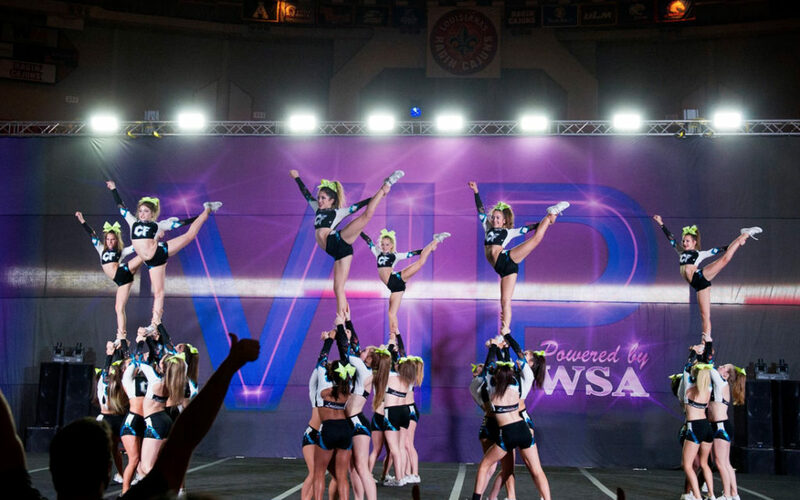 If you’re ready to sign up for one of the most exciting cheerleading competitions of the season, then it’s time to contact Worldwide Spirit Association! When it comes to cheerleading nationals, we have the equipment and expertise to give your teams the best experience possible. Reach out to us today to learn more.